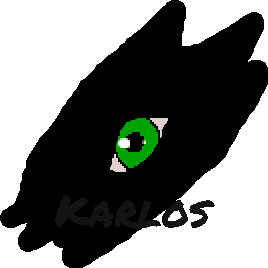 The Mind: Karlos generally is courteous and romantic. Typically risk-taking, is honest and observant. Rarely is self-controlled and trusting. Often is affectionate, logical and loyal. Socially is shy and his emotions are very unstable. Likes: Learn new things, like squirrels, loves math and coca cola. Dislikes: Cats and mices, hates cold tea and english wine. 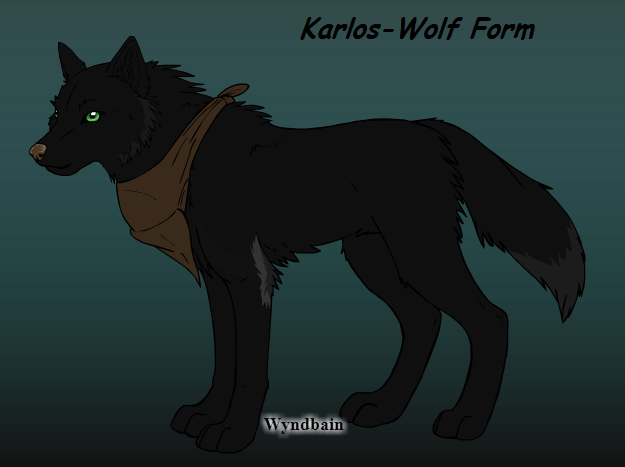 Build: Karlos has thick black fur: perfect to cold biomes, green grass eyes, muscular body. 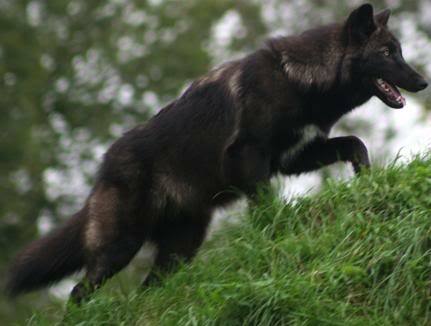 Appearance: Black fur with gray marking on the cheeks, forelimbs and tail. 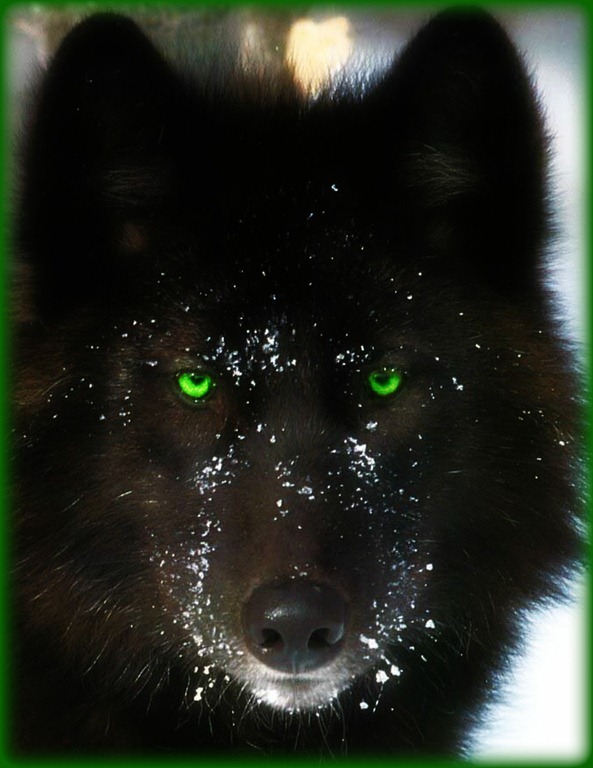 He has green grass eyes and wears a brown cloth tied around his neck. 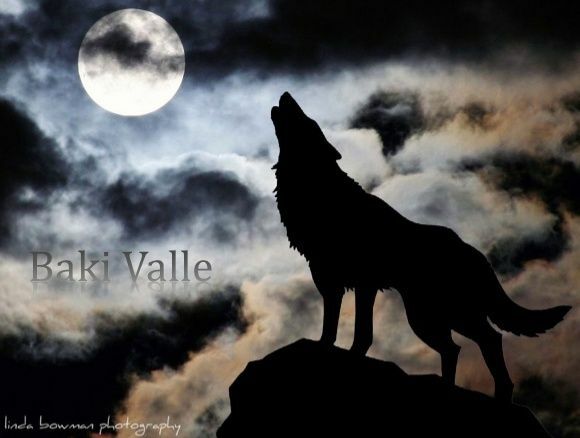 Markings: Gray markings on the cheeks, forelimbs and tail (In Wolf Form) A tattoo in his neck (In Human Form). Accessories: A bracelet and a brown cloth.